Tinnitus is a complex and unbearable neurological condition. Several factors can lead to the development of this debilitating disease; a lot of them are physical while some are caused because of morbidity syndrome. There is plenty of research going on to determine the prevalence of tinnitus in specific age-groups, but the cited documentation does not indicate any particular age-groups for this stressful condition. This chronic disease has taken over many people in its grip – most cannot bear the persistent sound while others have to wear something over their ears. People affected with tinnitus find it challenging to live in this constraint. Continuous ringing in your ears can reduce your quality of life by adversely affecting your cognitive ability and sometimes causes insomnia due to constant buzzing and whizzing. People with preoperative otosclerosis can experience episodes of tinnitus ranging from high pitched to low pitched sounds. However, another auditory disease like otitis media can also be the leading cause of tinnitus. However, you need to keep in mind that even after you recover, tinnitus doesn’t completely vanish without a trace. You will still hear certain types of noises and sounds from time to time. It is essential that you have the condition treated as soon as possible as neglecting the symptoms may lead to permanent hearing disability. A vestibular disorder is the leading cause of tinnitus as it causes imbalances between the inner ear and your brain. You will lose your mind-ear coordination due to Meniere’s disease as over secretion of fluid can impact the overall functionality of the ear which results in symptoms of tinnitus. Factory workers are also at high risk of developing tinnitus. The annoying sound emitted in the workplace can adversely affect the hearing ability of workers. Frequent exposure to loud noise can cause serious injury to the nerve endings that accounts for the visible symptoms of tinnitus. 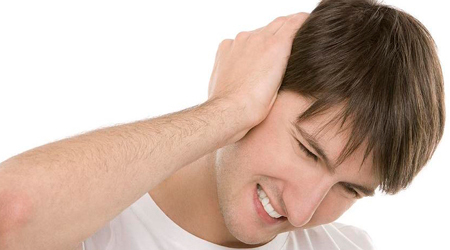 The appearance of tinnitus also concerns with an age-related hearing impairment that often called as presbycusis. The older person at high risk to experience this condition because their inner ear core degrades with the passage of time and that makes it highly vulnerable to develop the irreversible effect of tinnitus. This leading factor affects almost 30% of people who come in the ages between 60 to 75. Smoking is a nasty habit among adolescent and in various age – but what is surprising is that it also contributes to tinnitus. A chain smoker should be aware of such cases as the high amount of nicotine-containing products may harm their hearing ability. We treat disease with the aid of medication and antibiotics, but we don’t have much knowledge about the side effects of drugs. Even food additives contain substances that may harm our hearing ability and constant consumption of these compounds lead to chronic tinnitus occurrence. A recent medical report indicates that the people who are taking aspirin during their course of medication they prevailed tinnitus. As you know, earwax works as a barrier against foreign particles and helps the ear to drive out accumulated dirt. People who tend to develop more earwax are highly susceptible to the symptoms associated tinnitus. Old age people are at high risk of developing tinnitus. When older-adults build tinnitus, they find difficulty in conversation and concentration that make them irritated. Regular screening is recommended for old-age people to stay away from painful tinnitus. Tinnitus can be combated with the aid of masking devices and ear-protection equipment. But these measures work temporarily; it’s more appropriate for you to go for a regular acoustic checkup to keep these symptoms at bay. Following a healthy routine is the best tools to stay form this severe health disorder. Tinnitus is a complex and unbearable neurological condition. Several factors can lead to the development of this debilitating disease; a lot of them are physical while some are caused because of morbidity syndrome. There is plenty of research going on to determine the prevalence of tinnitus in specific age-groups, but the cited documentation does not indicate any particular age-groups for this stressful condition. This chronic disease has taken over many people in its grip - most cannot bear the persistent sound while others have to wear something over their ears. People affected with tinnitus find it challenging to live in this constraint. ← Can Clubbing Cause Tinnitus?